There appears to be an awful lot of confusion around e-cigarettes and the health impacts of vaping around child, not only for those who choose to vape, but those around them too. Parents are especially concerned when it comes to the health of their children and how they could be impacted and influenced by vaping. Here we consider e-cigarettes and vaping, and how they could potentially impact children. In the past, when traditional tobacco cigarettes first came onto the scene, advertising and marketing efforts actually promoted these harmful products as a way of prolonging life, little did they know. In recent times, as e-cigarettes were invented and quickly became popular, marketing techniques began to promote these products, too. It’s understandable that parents, teachers and other individuals are concerned that marketing e-cigarettes could encourage consumers to invest in them, similarly to that of past cigarette advertising. However, with studies by the Public Health of England discovering that e-cigarettes are in fact 95% less harmful than traditional tobacco cigarettes, we can be rest assured that these marketing efforts will not be providing incorrect information to consumers, unlike advertising of the past. Did you know? Advertising and marketing methods for the promotion of e-cigarettes are now regulated and so the e-cigarette industry is restricted in terms of what it can and cannot say concerning e-cigarettes and vaping. This way, the media is helping to protect children from any false statements. There has been a number of reports in recent times from hospitals reporting cases of children coming into contact with e-cigarette refills and swallowing them. When this happens, there is a chance that the child could ingest the nicotine solution found within the refill, with a risk of developing nicotine poisoning. 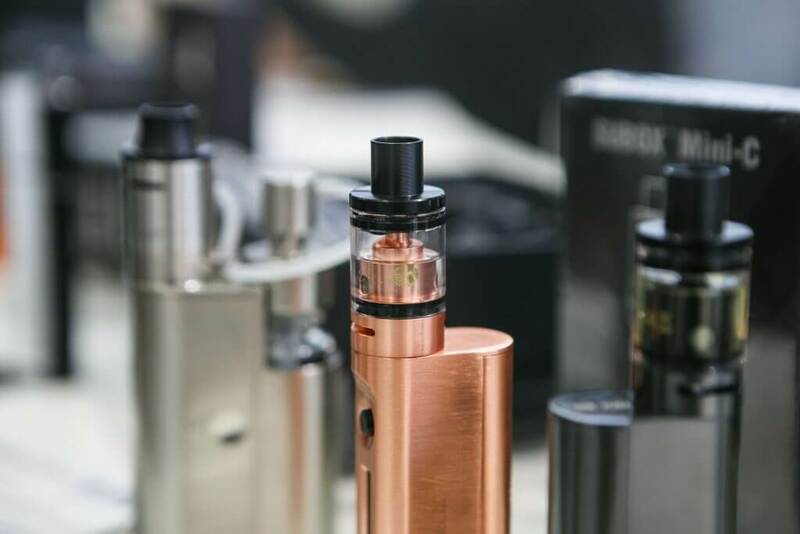 While thankfully there have been no fatal incidents in the UK, concerning nicotine poisoning from e-cigarette liquids, these reports can cause concern amongst members of the public, on whether or not e-cigarettes and their liquid should be sold. Children, especially toddlers, are naturally inquisitive and will try touching, smelling and eating pretty much anything they can get their hands on. It is crucial, therefore, for parents and carers of children to ensure that their e-cigarettes are kept well away from the sight and reach of children. Studies have recently found that there are a number of teenagers who are beginning to experiment with e-cigarettes, causing concern that they may eventually switch to the harmful, traditional tobacco cigarettes. On the other hand, the studies have also found that much of the reason for teenagers choosing to vape, is for the sweet and fruity flavours found amongst the vast variety of e-cigarette liquids. There is a general public perception that electronic cigarettes could provide the gateway to tobacco smoking. This has been quashed by the Public Health Organisation and the NHS who have both concluded that 99% of electronic cigarette users are in fact ex-smokers. As a consequence these users are all risking their health considerably less than they would if they were to smoke tobacco.